When you’re suffering from cancer, it’s important to make sure you eat well as good nutrition can help your body fight the disease. However, maintaining a nutritious diet may be difficult, as both the cancer and your treatment may make you feel unwell. What’s more, you may not be sure which foods to choose, as cancer can cause profound metabolic effects in the body that affect your nutritional needs. Here at Hunter Valley Oncology, I, Dr Rob Paterson, have put together this quick guide for maintaining good nutrition while receiving treatment for cancer. Read on to discover which foods to eat, how to deal with issues affecting your appetite, and where to seek further advice. The main nutritional goals for cancer patients are to maintain a healthy weight, stay hydrated, and nourish the body with plenty of beneficial foods. Plenty of fruits and vegetables – The staple of any healthy diet, it’s never more important to eat at least 5 serves a day than when fighting disease and recovering from treatment. Moderate amounts of whole grains – Carbohydrates are an important source of vitamins and minerals that fuel your body with energy. Stick to whole grains over processed alternatives for additional fibre. Plant proteins – Protein helps renew the body’s tissue, maintain muscle, and fight infection. Nuts, beans, lentils, and tofu are great choices for an easy and nutritious meal. Modest portions of lean meats – Proteins such as fish, poultry, and other lean meats provide your body with essential iron and zinc. 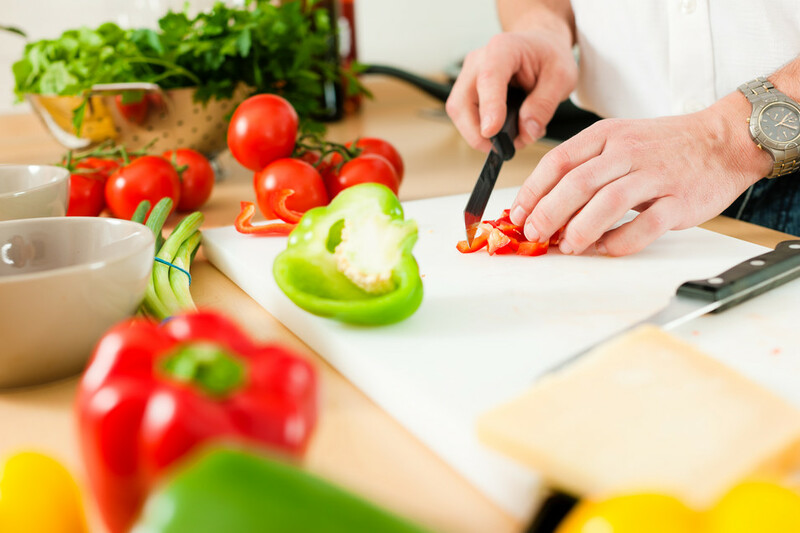 Use low fat cooking methods such as grilling or poaching. Dairy – Aim to have one or two servings of dairy per day, such as a glass of milk, slice of cheese, or tub of yoghurt. Make sure you stick to non-fat or low fat dairy products. Surgery, radiation therapy, and chemotherapy can impair your ability to eat and digest food – you may not even tolerate your favourite meals. Various changes in your body may lead to loss of appetite, nausea, and more. Here’s how I, Dr Rob Paterson, Oncologists at Hunter Valley advise how you deal with these common side effects. This is a common side effect of cancer treatment, which results in weight loss and poor nutrition. When this happens, your body’s ability to heal is hindered. When severe, malnutrition can interfere with proper functioning of your body’s major organs and immune system. Eat several small meals a day instead of three large ones. Eat high-protein foods at times your appetite is strongest. Keep your favourite high-calorie foods close at hand for a quick and easy snack. Nausea is a common side effect of chemotherapy and radiation therapy. It’s difficult to make yourself eat and drink when you’re feeling so ill, especially when vomiting is also occurring. Eat small portions of non-fatty, non greasy food with a neutral odour (strong or spicy smells can trigger nausea). Consume foods and liquids at room temperature or cooler. If vomiting, sip on small amounts of clear liquid such as cranberry juice and nibble on plain crackers. Certain medications can also be a great way to help prevent nausea if it becomes a problem – it is recommended speaking with your health care professional about the right nausea medications for you. Various treatments, and even the cancer itself, can cause changes in your tastebuds during the course of your illness. Here at Hunter Valley Oncology, I consult with many patients who experience a bitter or metallic taste in their mouth, which affects their ability to enjoy food. Experiment with different marinade flavours to make meat more appealing. Try sweet, soft and moist foods such as melon balls or grapes to negate the metallic taste in your mouth. Rinse your mouth regularly with an alcohol-free mouthwash, and brush your teeth and tongue before each meal. A dry mouth is a common side effect of some cancer treatments. The reduction in saliva makes chewing and swallowing difficult, hindering your ability to eat. Choose moist and soft foods preferably in a sauce or liquid such as broth or dressing. Try to stimulate saliva production by sucking on ice chips or sugar-free lollies. Drink thick drinks such as fruit nectar through a straw. Here at Hunter Valley Oncology, I always recommend you speak with myself, another Oncologist or allow us to refer you to a recommended dietician for dietary guidance, and especially before taking any dietary supplements or embarking upon a diet plan. Our patient-centred, holistic cancer care service fulfils the needs of cancer patients in Newcastle NSW and surrounds. To make an appointment, please call (02) 4941 8424 or (02) 4942 2600 or use our online contact form.